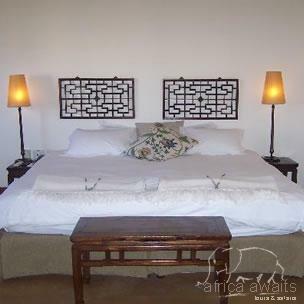 The Spier Hotel provides four star comforts in a charming village-style setting with comfortable, spacious bedrooms grouped around six private courtyards and individual pools. 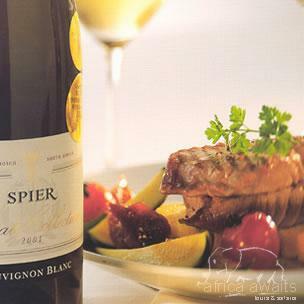 Spier puts its focus on sustainability and wherever possible locally made and environmentally friendly products are used. The four well-appointed and spacious suites of 110sqm face the Eerste River and the Helderberg mountains beyond. The suites at the Spier Hotel are decorated with a simple but stylish country look. During spring and summer, doors open on to the gardens and entertainment areas, allowing guests the luxury of relaxing on huge wooden outdoor divans and appreciating the peace of the country setting. Under the starlit African sky, set in a garden in the Western Cape Winelands, MOYO at Spier is unlike any other restaurant. Bedouin tents and gazebos are placed throughout the garden and create a setting similar to a nomadic African village. This unexpected delight in the Winelands is set to the humming and ululating voices of Third World Bunfight, a performance company known for pushing the boundaries of African art to the limits. 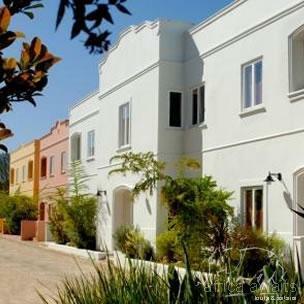 With your holiday, safari or business trip from in to Spier in Cape Winelands.